I am work in outside india(NRE).Can i apply this scheme. 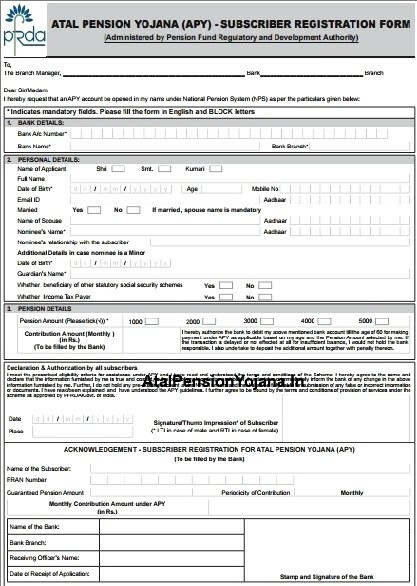 I want to know online process of Atal Pension Yohjana (APY) Scheme. So that I can open through online. One of our relatives expired. How to claim the benefit under APY. Where we can get Claim Form. sir, my name is show in wrong ex. correct name is mahendra kumar agrawal but show as mahendra agarawal kumar pl. solved thish prob. i am above 45 years old, should i apply for atal p yojana? You can open your atal Pension Yojana account at State Bank of Bikaner & Jaipur branch at choump branch. i have saving account in SBI bank at Barauni but currently m living in Paradeep. Can i open my atal pension yojna account in delhi branch. is there any online facility. i have saving account in hdfc bank at mmuzaffarnagar but currently m living in delhi. is there any online facility?